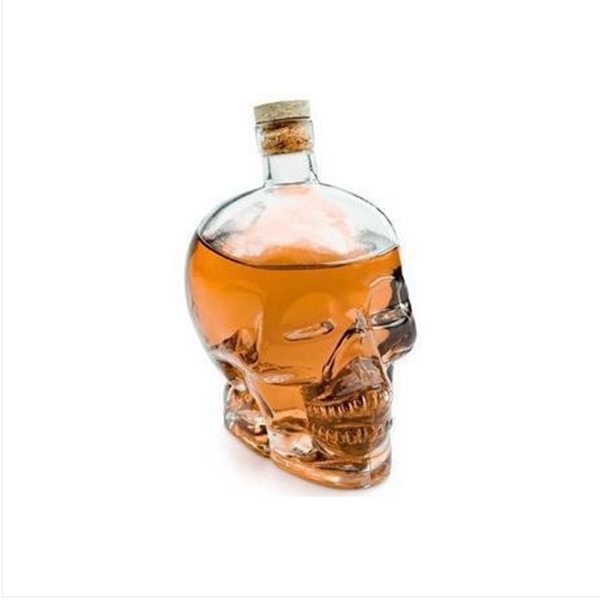 Shaped liquor glass bottle, a popular skull shape glass bottle. Very famous during young people market. 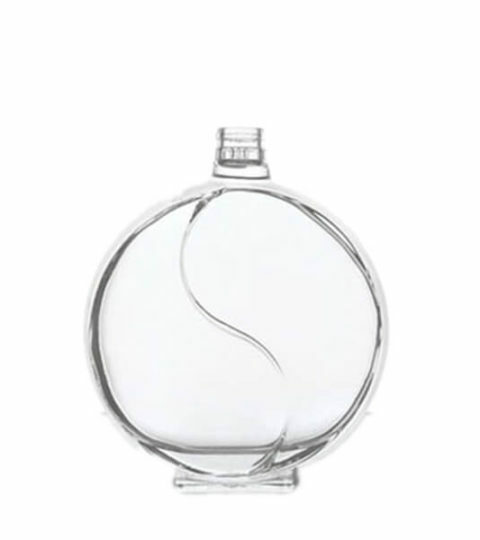 This fashion popular vodka bottle comes with a natural wood cork. HIKING custom glass bottles, make your idea real. 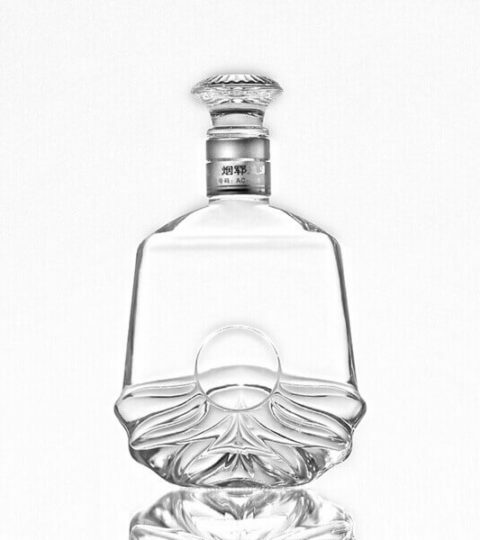 Hiking glass bottle company provide a wide range of decorations for shaped liquor glass bottle. Silk printing, decal, frosting, color spraying, electroplating, labeling, embossing, and engraving. 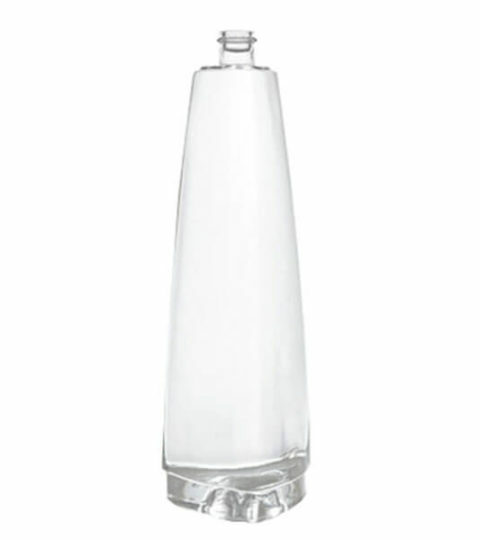 This shaped liquor glass bottle is available for all of above decorations.